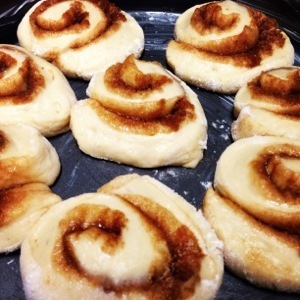 Surprisingly I have never made cinnamon rolls… Until now. 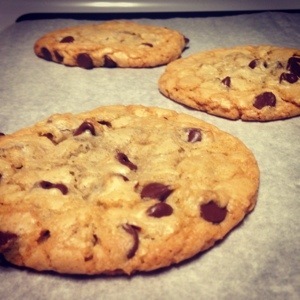 I made these and I have to say, they are wonderful. I actually froze half and plan on thawing/rising at room temp next time I need a quick breakfast or potluck contribution. [update: rolls thawed, baked, they are perfect!] These have the perfect flavor of sweet dough with the yeasty taste of homemade bread. They are prepared using a stand mixer making them all the easier to churn out in the morning. Heat milk, 1/2 cup sugar and salt in a saucepan over medium-high heat. Stir until sugar melts and the mixture bubbles gently. 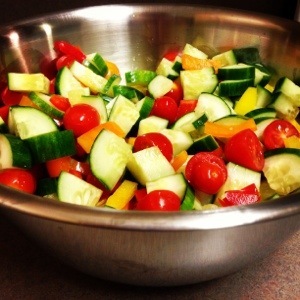 Remove from heat and allow the mixture to cool. 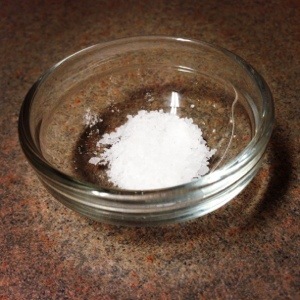 Dissolve yeast and 1 teaspoon sugar in very warm water (110°F) in the bowl of a stand mixer. 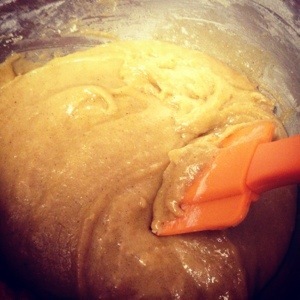 Mix with the paddle attachment until well blended. Let stand 10 minutes. Beat eggs into yeast mixture. Add in the cooled milk mixture, switch to the dough. 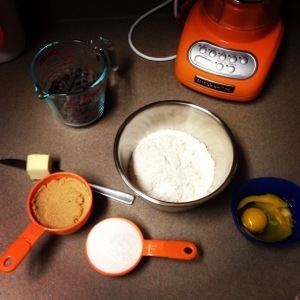 Mix in the flour one cup at a time until dough is elastic. 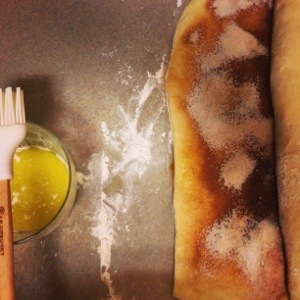 Add the melted butter and mix, then add in more flour until dough is elastic and pulls away from the sides of the mixer. 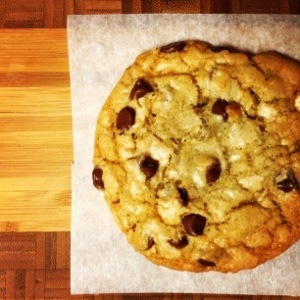 The dough should stick to your hands slightly. Knead with the dough hook for 5 minutes. Place dough in a buttered bowl and turn it over to coat. Cover with plastic wrap and allow the dough to rise in a warm place for 1 hour or until doubled in size. 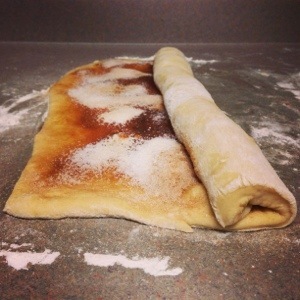 Punch down the dough and turnout onto a lightly floured surface. Knead a few times and cut into two pieces. Roll out each piece into 12×9-inch rectangles. Preheat oven to 400°. Bake rolls for 18-25 minutes, rotating the pan halfway through, or until golden. 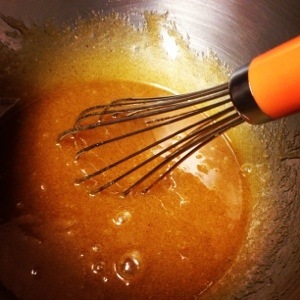 Whisk together glaze ingredients, adding additional milk as needed. 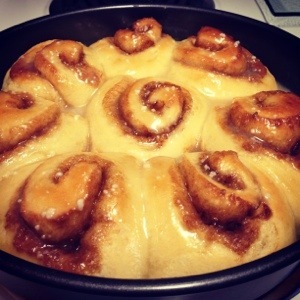 Glaze rolls in the pan while they are hot. I have become just a little bit obsessed with cold brew. There is nothing better than having a pitcher of concentrated caffeine in the fridge at all times. 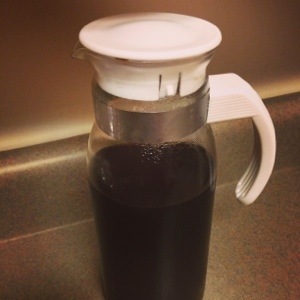 This cold brew recipe can be modified to suit your taste. You can add as little or as much water as you want to the concentrate. If you are grinding your own coffee for this, use a medium grind. It almost seems silly to post this because it is so simple. But it’s so good! 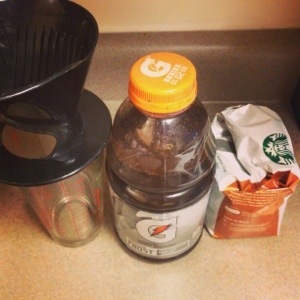 Place coffee grounds and water in a glass bottle. Let sit at room temperature for 12 hours or overnight. Filter through coffee filters or a very fine sieve. Mix in a one to one ratio with water.